We are in the process of translating the Judgment into English and Chinese. Please contact us by mail if you wish to receive the translation. We will send you a copy upon completion. 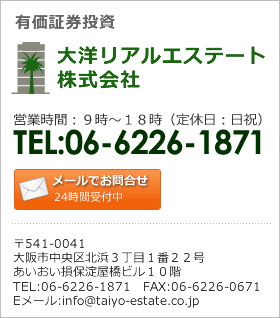 Copyright c 大洋リアルエステート株式会社　土地建物管理事業部. All rights reserved.